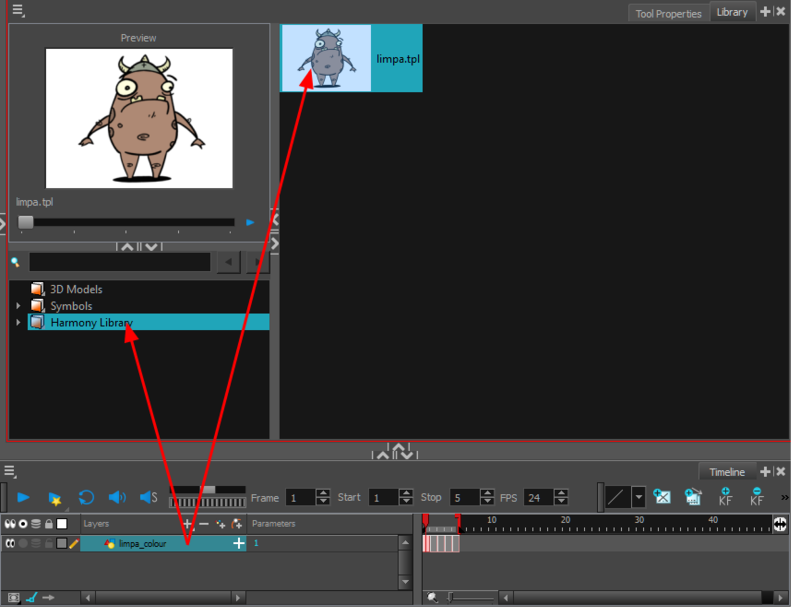 NOTE: If you are creating a template from a character rig master template, you should collapse everything inside a master peg and put a keyframe on the first frame before creating the template. You can create a template from a whole hierarchy of layers by collapsing the hierarchy and selecting the root layer. This can be useful for creating templates based on character rigs or scene backgrounds. In the Library view, select a folder to store the template. By default, a local scene will have a Harmony Essentials Library folder, which is stored in your Documents folder. NOTE: To rename a template once it is created, right-click on the symbol and select Rename, or double-click on the template's name.